Very rarely are things as bad as you predict them to be. For the past week a certain someone has been freaking out big time about starting a new job. A job that will only run for three weeks. A meager 21 days. To the point at which she’s had enough kittens to fill a cattery several times over. Fluctuating between being snappy at everyone/thing, mega-hyper and sitting listlessly on the couch morosely contemplating her ‘bad decision’, this certain someone hasn’t exactly been bundles of fun. However, as most first-days tend to prove, over-thinking is never helpful – it often leads to negativity and catastrophising. You see, the job really wasn’t all that bad. Yes it was a 10 hour shift, yes the only time one sat down was to go to the bathroom twice (over-sharing? 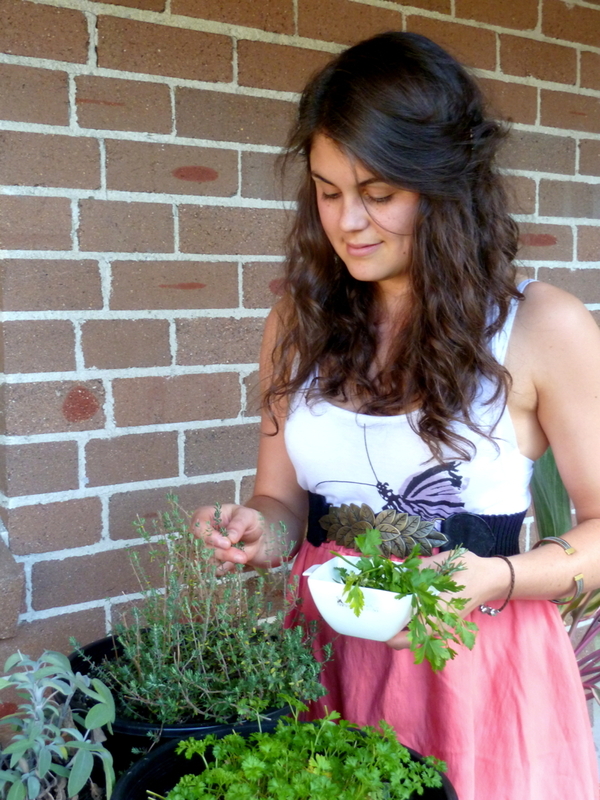 Ah well), yes one has a blister forming from cutting so many vegetables/chicken/herbs etc. And yes one has a nasty burn on her forearm (the customary welcome-back-to-the-commercial-kitchen present), but all-in-all the shift was fine. Quite fun actually. My oh my, who would have guessed? Ironically the only allocated day off for the next three weeks is today – i.e. day two. Huh. No point complaining though – might as well make the most of it before the 10 hours a day, every day until the 1st of Feb truly begins! He-llo Australian Open. What’s that you say? No cooking today? Uh-huh. There’s breakfast-on-the-go and post-work snacks to be made. However, working with food for extended periods, immersed in the various smells of food cooking is a sure-fire way to reduce your appetite to the size of a mouse. And that’s not to mean you only want to eat a small mouse – you only want to eat as much as a small mouse would. Good, we’ve got that cleared up. You also crave fresh food. At 8 hours in, when the smallest glimmer of hunger appeared on the horizon it was the fruit salad that looked the most appetising. Not the slow-roasted beef ribs or the chicken roulade, or even the brown rice and vegetable risotto. Oh, and roast extra strawberries. Trust me. Preheat the oven to 175C. Line a small baking tray with baking paper and set aside. In a small bowl toss the strawberries with the balsamic vinegar and set aside to ‘marinate’ for 5 minutes. Meanwhile, bring a small pot of water to a rolling boil. Add the asparagus and cook for two minutes. Drain and transfer to a bowl of iced water to refresh. Roast the strawberries for 20 minutes or until they just begin to release their juices. Set the pan on a wire rack and leave to cool. 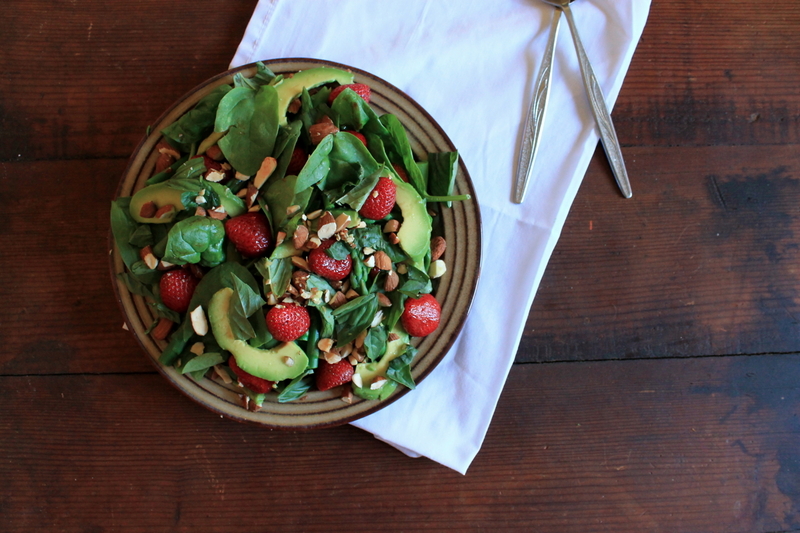 To assemble: Scatter 2/3 of the baby spinach leaves over a plate and top with 2/3 of the asparagus, half of the avocado, basil and strawberries. 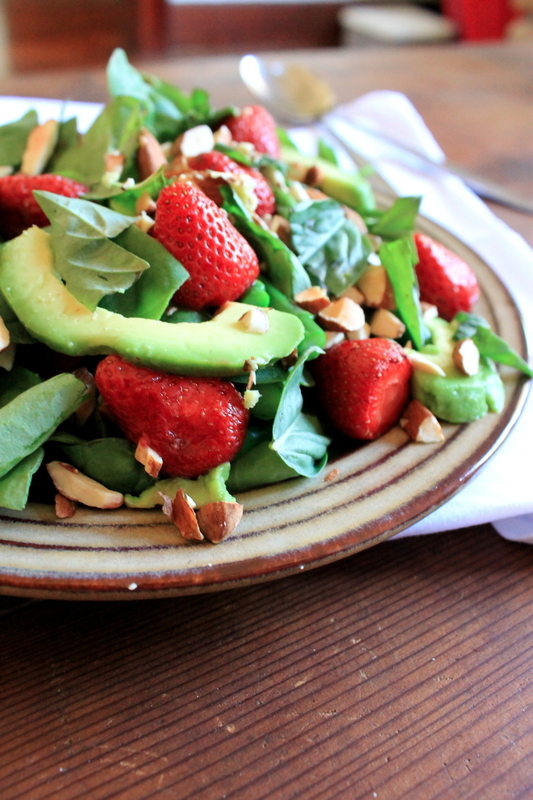 Top with the remaining spinach, then the asparagus, avocado, basil, strawberries and finally scatter with almonds. Serve drizzled with a little extra virgin olive oil.